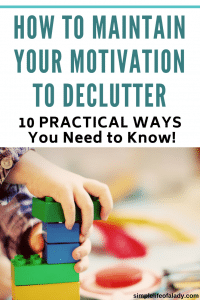 Motivating yourself to declutter is probably more challenging than decluttering, itself. 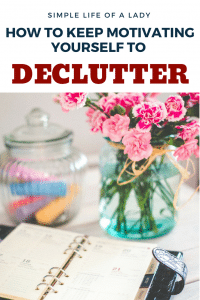 If you have decluttered in the past but for some reason, were not able to keep up to it, and today your house is still cluttered, this post is for you. First of all, let me clarify a simple truth. Getting to start in decluttering is one thing. Maintaining the habit is another. When you start decluttering, you feel excited. You feel ready to get started and achieve a home free from clutter. The only problem is that decluttering can be a lot of work depending on the stuff that you have accumulated for years. 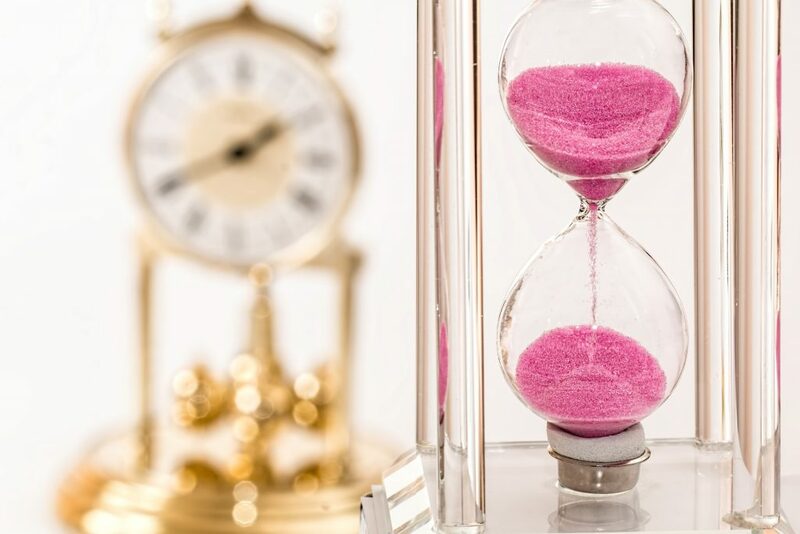 Along the process, you realize that decluttering is actually a daunting task. .
Add to it the fact that you really don’t have much time to declutter. And your family, especially your spouse, is not on board. But you know that you have to declutter, right? You just have to get rid of all that stuff because it’s driving you crazy. You crave for a simplified life where your things are just what you need and love. Now how do you motivate yourself to start again? How do you bring back the excitement that you once had? 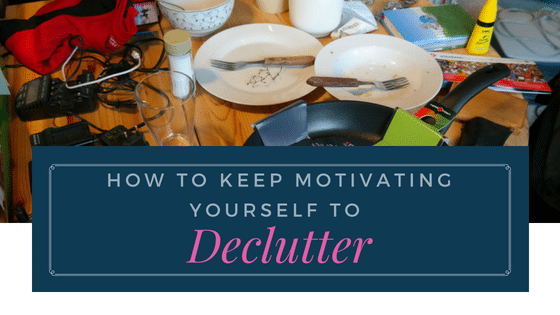 More importantly, how do you keep motivating yourself to declutter until you succed? Here are ten ways to do that. Not every one of this may work for you. So I encourage you to try each of them so that you know what works best and you can do more of that. 1. Have a clear vision of why eliminating the clutter is important to achieve the life you are dreaming of. Do you still remember why you wanted to have a clutter-free life? Perhaps it’s because it takes you a lot of time to find something when you need it and you want to change that. Or maybe you just want to sleep better. Or perhaps you just simply want to organize and clean the house faster so that you can spend the rest of your time with your husband and kids. Whatever it is, be clear with it. Write it down. If you have more than one reason, that’s even better! Here is a printable guide that you can download for FREE. This is what I used when I began my decluttering journey. The first part is where you write your whys for decluttering. It also has a habit tracker which you can use to monitor your progress. Read your whys before you start decluttering. When you are losing motivation, read them too. 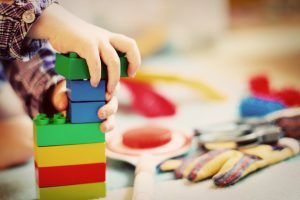 As you are reminded more and more of how decluttering can simplify and improve your overall life, your desire to declutter your entire home will become stronger. 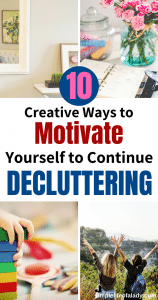 That will move you to declutter again and again until you achieve your vision. 2. Take a picture of your dream home. Ahhh… the dream home… you bet it’s not filled with clutter! You can find lots of pictures on Pinterest. Pick those that you love and pin them. I also recommend that you print one and post it on your wall. When you feel like you don’t want to declutter, just look at the picture. Remind yourself that this is the kind of home that you want – free from clutter, calm and relaxing. 3. Set a decluttering goal. For every endeavor, big or small. setting a goal is invaluable. It gives you direction. 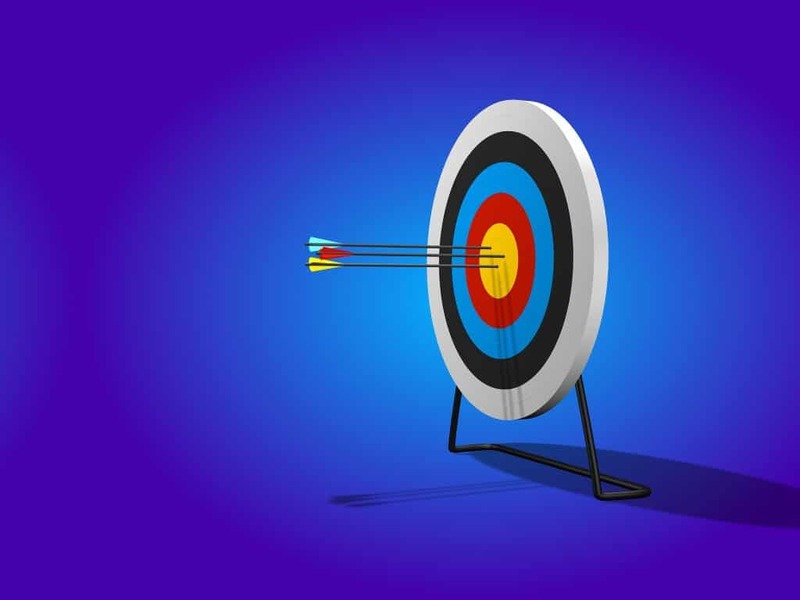 It focuses your efforts on achieving that particular goal. 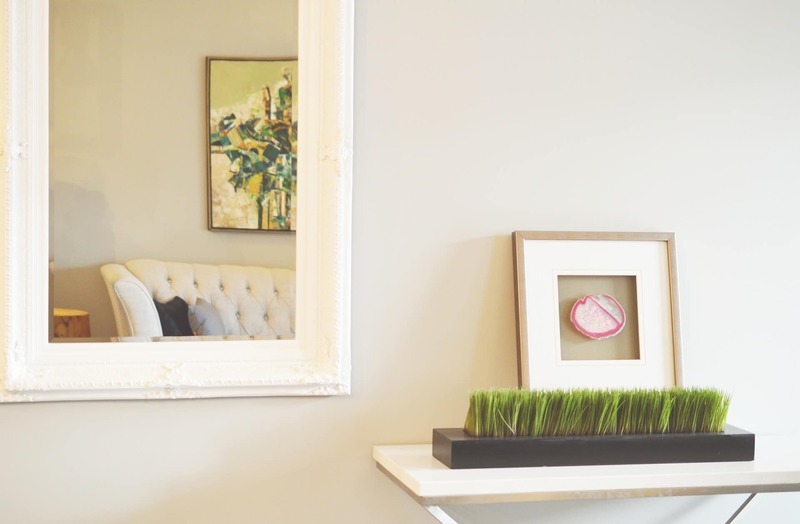 If a decluttering goal seems too big for you, like decluttering your bedroom, and you’ve got lots of stuff, break down your big goal into smaller achievable goals. Then you can tackle each part for let’s say, 15 minutes a day. You’ll start with the nightstand, then when you’re done with it, move on to the dresser. By doing it this way, the chaos in your bedroom will not be too daunting to conquer. You’ll be able to focus on one hot spot at a time. You will also feel successful as you complete each spot, and that itself is another motivating factor. 4. 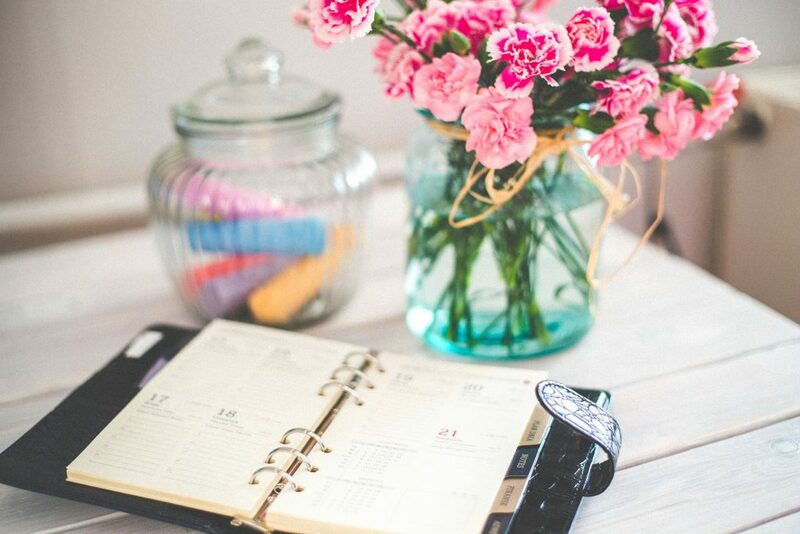 Create a decluttering schedule. Mark it on your calendar and write it on your to-do list. After setting a decluttering goal, the next thing you should create is a decluttering schedule. Mark your calendar when you plan to declutter and write it down on your to-do list. This serves as your commitment to yourself. And when it is written on your to-do list and marked on your calendar, you will be more likely to keep it. If you think you don’t have time, you can do it for only 15 minutes everyday. Others even do it for just 10 minutes. 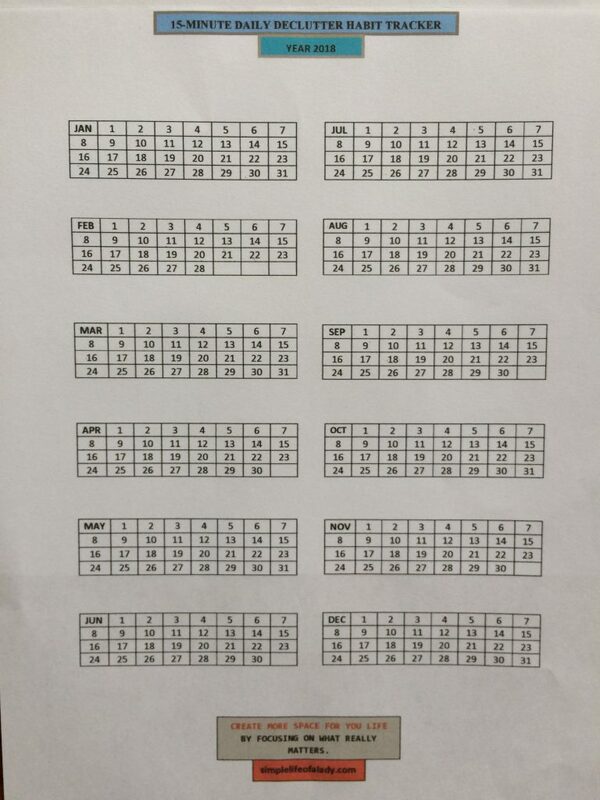 There is no right or wrong schedule. It all depends on the area you’re going to declutter, the availability of your time, and the time it takes for you to declutter without getting exhausted..
What’s important is that you get yourself to declutter again and again until you succeed. 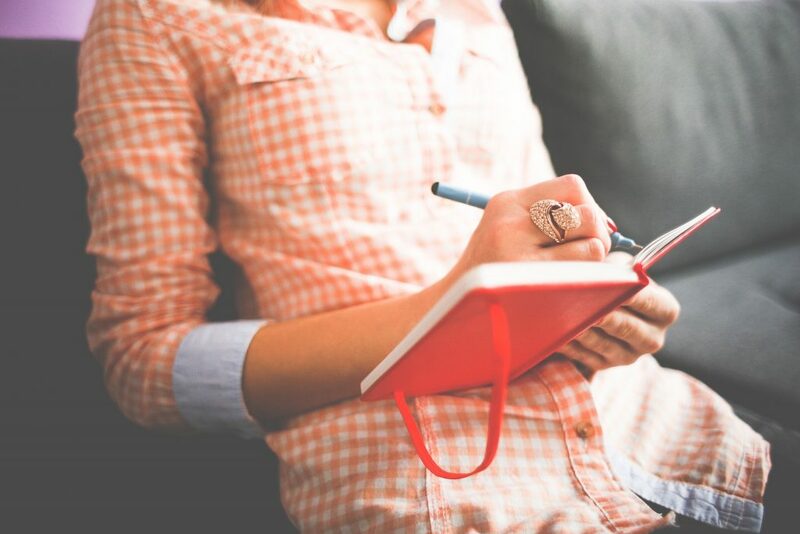 By writing it down on your calendar and your to-do list, you are shaping your thinking that decluttering is indeed important to you, so you are now making time for it and including it in your routine. Remember, if you don’t make time to declutter, then you definitely will not find the time for it. 5. Get a habit tracker. This habit tracker is the one I use right now. I made this specifically for decluttering purpose. If you don’t have a habit tracker yet and you want one, look no further and download the 15-Minute Daily Declutter Diary. Included in it is a copy of this habit tracker. Don’t worry. It’s totally FREE of charge! If you’re this person who loves checking off your to-do list, or filling boxes with colors once you’re done with the tasks associated with them, this is going to work for you. A habit tracker is the best tool to accompany your decluttering journey when you want to declutter everyday (like I do, I declutter for 15 minutes everyday), and you want to build that habit for the long term. Aside from the fact that it tracks your progress, it also serves as a reminder to you, that you are forming a decluttering habit, and it takes time to build that. Plus, it’a a really good feeling when you see your habit tracker all filled with colors! So get a habit tracker now and post that on your wall. Color each box each time you declutter. 6. Create a clutter-free zone. I learned this from Angela. According to her, the clutter-free zone doesn’t have to be a large space. It can be one part of a counter, a shelf, or a coffee table. But it should be visible at all times and easy to maintain, because you’re going to maintain it everyday. When everything else is chaotic, this zone serves as a reminder that there is something better than a cluttered life. This zone also tells you that you can make every other area of your house clutter-free. 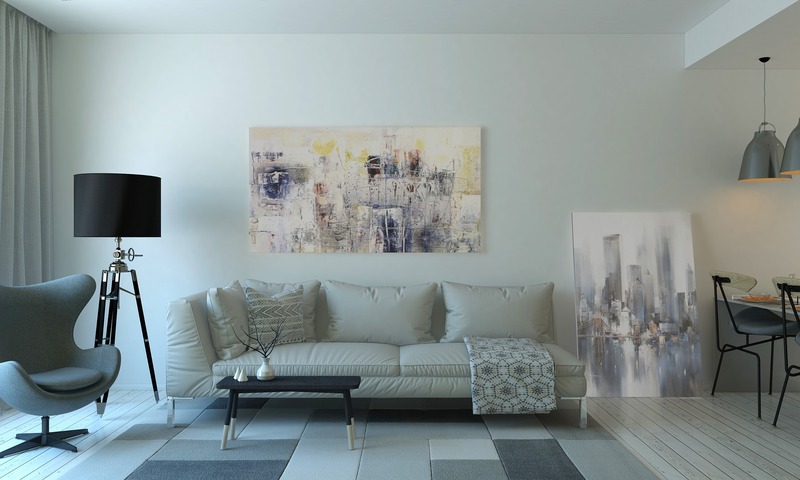 As you maintain that space everyday, your decluttering muscles are slowly built until you can tackle the larger and more chaotic parts of your home. Soon, you’ll find that your entire house is already a clutter-free zone. Tick tack… tick tack… the clock is ticking. I love using a timer! Because I’ve decided to declutter for only 15 minutes everyday, I always set the timer for 15 minutes when I’m decluttering. And I know that I can’t be successful in my decluttering endeavor if not with a timer. I have to admit this. I am not a decluttering fanatic. I love writing, reading, eating (Oh how I love home-cooked food! ), but decluttering? But the fact is that I love an organized and clean house. I mean, who doesn’t want that? Add to it the fact that I work from home so you know where I spend most of my days. And I just love a calm and peaceful environment! So decluttering is a necessary part of my life right now. I want to simplify as much as possible and be the organized person that I want to be. This is why I love the process of decluttering for only 15 minutes everyday because it gets the job done, it doesn’t overwhelm me, and yes, it does allow me to enjoy decluttering even if it’s not among the things I love to do. But sometimes it still feels like a chore. Even if I know that it’s just for 15 minutes, I still feel like I’m not in the mood to do it. Now this is why I love the timer. Because it prompts me to start. The moment I set the timer for 15 minutes I have to start decluttering already. And for 15 minutes, decluttering is all that I do. When 15 minutes is over and I’ve decluttered some items already, I love the feeling! And that feeling makes me want to declutter more. So if I have the time, I set the timer again for another 15 minutes. Now I recommend that you too, use a timer. Find out if it also forces you to start. If it works, then stick with it. But if it annoys you, don’t force it. There are lots of ways you can make decluttering fun. If you love music, play your favorite ones while decluttering. Another way is to challenge a friend or one of your family members to declutter with you, turning it into some sort of a game. The one who declutters more stuff is declared the winner and receive a free treat to the movies. You can always be creative with your prices. A good reward for yourself for every decluttering goal reached is also another way to add fun to your decluttering activities. It could be a treat to the spa, a course that you have been wanting to enroll to, anything that you love that will surely push you to achieve your decluttering goals! Here are more ideas to make decluttering fun! 9. Get an accountability partner. This person can be a family member, like your spouse; or a close friend. They only have one role – to push you to declutter when you are on the brink of giving up. It may be hard for you to declutter when no one else knows about it. That is understandable since you are only accountable to yourself. If you disappoint someone, that will only be yourself. But what if someone else knows and someone else expects you to have a decluttered home after, let’s say 30 days? Would that move you to keep up to the challenge? Gretchen Rubin, in her book Habits, emphasized this phenomenon. 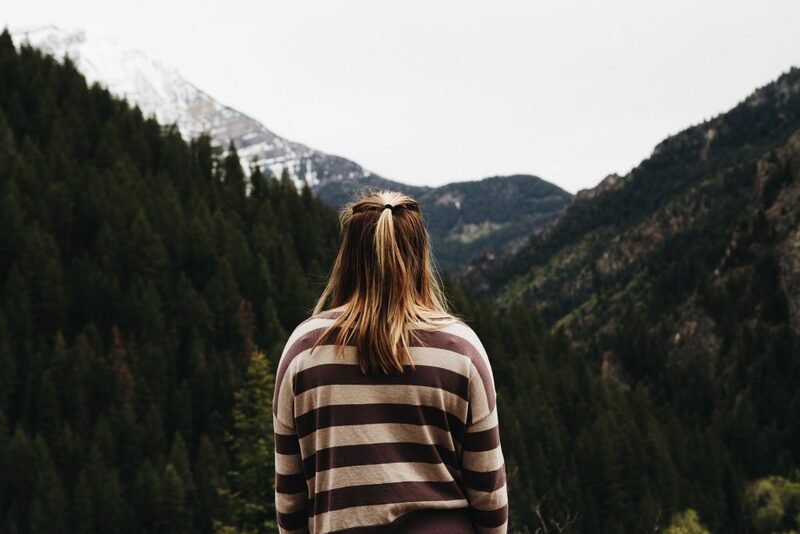 According to her, when we are trying to form a new habit, we set an expectation for ourselves. There are people, whom she called obligers who are motivated by external accountability, that is meeting expectations from other people. If you belong to this group, it is very hard for you to motivate yourself to do something, even if that thing is good and you love doing it. But if someone is watching, you behave differently. If this is more like you, then a declutter buddy may be just what you need to push yourself. 10. Tie a decluttered and organized life to your identity. Ever heard of the statement, you are what you think you are? If you have tried every decluttering motivation there is to no avail, then the barrier must have something to do with your self-image. You cannot outperform what you believe to be true. If you keep thinking of yourself as messy, disorganized or even a hoarder, then it will be hard for you to declutter and get organized because you think of yourself as otherwise. Now Jason Selk is a very productive morning person and he delights in getting up early. if you are wondering if this is also possible for you, why don’t you give it a try? This may be difficult to start if you have already branded yourself as messy. But now is the time to stop calling yourself messy. That word was the former you. Starting today, you are transforming yourself into the better you – the organized you. So when you are overwhelmed by the mess in your house, tell yourself, “I am an organized person.” Then pick up one thing and decide, do I keep this or not? If I keep this, where is its home? If you can’t find a home for it, then well, you know that it doesn’t belong in your house anymore. Just keep repeating the process with every clutter in your home. By telling yourself that which you hope to be, which is an organized person, and then repeating it again and again, you are changing your self image from a messy person to an organized person. Make being an organized person your identity. From now on, this is you. You are an organized person. Then you’ll find yourself doing whatever it takes to make this a reality. Thank you for reading up to the end of this post. Your home’s clutter wasn’t accumulated in a day, so it definitely won’t disappear in just one day. That’s okay. As long as you keep motivating yourself to declutter, you will reach your dream of a clutter-free home. It might take you months or even a year, but don’t let this discourage you. You are not in a race here. You are on a journey towards becoming a better you, and to having a better home and lifestyle. And if you really think about it, what is six months or a year of decluttering compared to a simplified life and more time for your relationships? You bet it’s all worth it! Have you ever struggled with motivation? Did you find anything that really helped you to bring your enthusiasm back? Feel free to share it in the comments. I’d be very happy to know about it! Want more articles on decluttering and organizing? Check these out! How to Declutter Your Bedroom in an Easy, Energizing and Fun Way for Just 15 Minutes a Day! Fancy another freebie? Here’s one you can download. 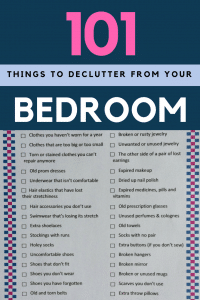 Click here to get a free copy of 101 Things to Declutter from Your Bedroom Right Now! If you think this article is helpful, kindly take a second to pin it! Let’s help each declutter our homes.